Intercontinental Brands (ICB), is a speciality drinks manufacturer. 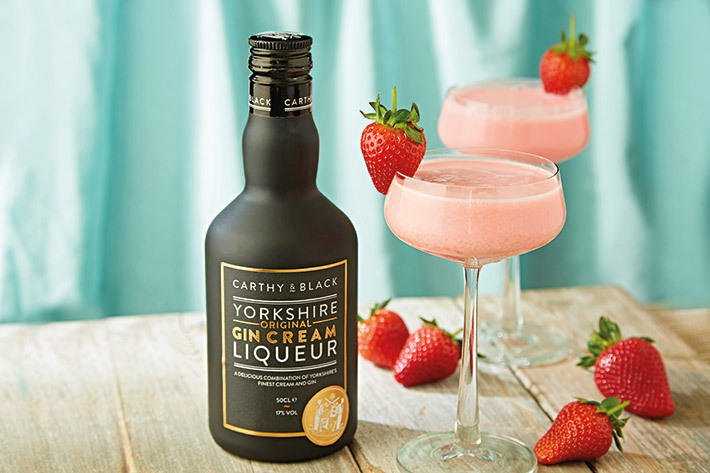 They wanted to increase their portfolio of brands with a range of Yorkshire cream liqueurs. ICB came to us to create and build a whole new brand from scratch, including all packaging design. The target market was women aged between 30-45 and ICB really wanted something different. The positioning of the drinks being a celebration of, ‘all things Yorkshire’ was agreed – the next stage was to use Storygelling – our tried and tested way to find their story and make it stick. All three drinks were made using the finest Yorkshire cream. One was blended with whisky, one with award winning Harrogate Slingsby Gin and the final liqueur was to be created using a combination of gin and lemon. The citrussy addition was inspired by the famous lemon and lime cake, from Bettys of Harrogate. For many people, the initial reaction was surprise and intrigue. “Cream, lemon and gin… Really?” This feedback gave us a great product truth and a unique starting place. We created the brand identity around the idea of ‘Dales of The Unexpected’. These were delicious drinks with an unexpected twist. Our story centred around two proud Yorkshiremen: joint founders Mike Carthy and Marcus Black. We personified them as Yorkshire whippets, decked out in the finest woollen tweeds. The fabl devised a family crest, which celebrates the best of Yorkshire in a new and interesting way. The elements consist of Ingleborough, Yorkshire cows and sheep along with football, rugby and cricket icons. On either side of the crest are the two suited and booted whippets, posing with cricket bat and ball. The crest is crowned by a cross of Yorkshire rhubarb and the Yorkshire rose. It sits proudly on every bottle. Launched at the Malton Food Lovers Festival in May 2017, the Carthy & Black story was such a runaway success, they sold out on the first day. 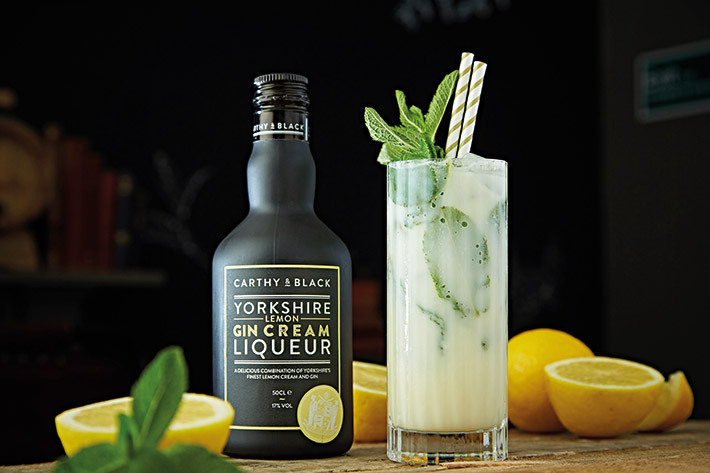 Now widely available in 120 Asda stores, Carthy & Black is introducing the best of Yorkshire to the entire nation. So far, this is a story that is definitely sticking with the target audience.